Agilent Technologies Inc. (NYSE: A) recently introduced the U8030 Series of DC power supplies, the only triple-output power supplies in their class with front-panel programming. In benchtop or industrial settings, front-panel analog programming saves time and reduces complexity by allowing the user to set and control key output parameters-without extensive programming knowledge. With this function and many other enhanced capabilities, the U8030 series DC power supplies are suitable for margin tests, burn-in or reliability tests and general electronics manufacturing. With its intuitive user interface, all 3 channels of the power supply can be controlled individually or simultaneously with just a press of a button (all on/off), delivering up to 375 watts (total) to multiple devices or points. "Agilent combined its years of knowledge and expertise to create the U8030 Series of power supplies," said Ee Huei Sin, vice president and general manager of Agilent's Basic Instruments Division. "This is evidenced by performance advantages such as low noise and good load regulation, which are significant innovations in this product category." To help users easily observe the total power drawn by a device-under-test, U8030 Series models include a screen that shows voltage and current readings simultaneously. This is especially helpful to users trying to verify proper design and operation of electronic components and subsystems. 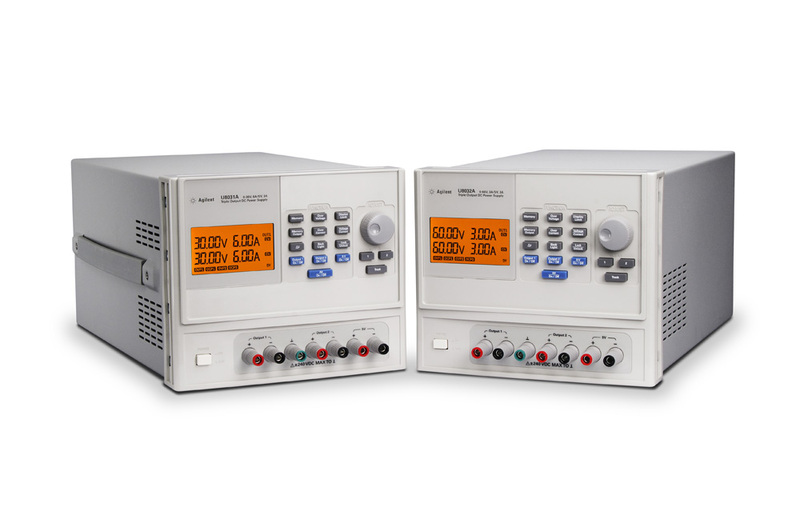 The U8030 Series also includes over-voltage and over-current protection to help ensure the integrity of the device-under-test and also protect the power supply. For added flexibility, overload limits are user-selectable. The U8030 Series is now available worldwide. The U.S. list price for the U8031A and U8032A is $995 each. More information is available online at www.agilent.com/find/U8030-pr. High-resolution images are available at www.agilent.com/find/U8030_images.